You are here: Home / Sewer / When Is the City Responsible for Sewer Lines? When Is the City Responsible for Sewer Lines? Who is responsible for sewer line repair? If you have plumbing problems at the street, it could be your responsibility to have it handled. You’ll need to know who to contact in order to learn when is the city responsible for sewer lines. Our guide will help you understand what to expect in the event of a necessary repair. That’s a question you’ll likely ask yourself when you face a repair. But even if your plumbing seems to run smoothly, you should know who’s responsible when it doesn’t. Of course, you’re always responsible for the sewer line from your house to the street. But even when the city sewer line is clogged, the repair costs could come from your pocket. Here are some things you should know about the sewer lines on and around your property. Basically, the city is responsible for sewer lines starting at the main underground sewer pipe. That line carries waste and wastewater to your municipality’s treatment plant or other locations. The sewer main usually sits beyond the boundaries of your property. The main sewer line can be designed based on factors including the neighborhood’s age. Also, where you live, such as in a rural community, can make a difference. Regardless, if the problems you have come from pipes that run to the main line, the responsibility is yours. Look for a plumber that has an “A” license and is qualified to work on those main lines. The pipes that run from your home to the main sewer line are called the upper lateral and lower lateral sections. The upper lateral includes both the cleanout for your house and at your property line. This pipe extends from your home to the sidewalk before stemming off to the lower lateral beneath the street. The lower lateral runs from your property line to the main sewer line. Even though this section isn’t on your property, you could still be responsible for clogs and tree roots that extend from your property. If you find a problem exists in your sewer lines and you’re responsible, check your insurance coverage to see if your insurer will help. Usually, you discuss ahead of time whether this type of damage will be covered by your homeowner’s policy. If you buy a house and want to know the quality of the pipes inside and out, get a plumbing inspection. Include video of the interior of the pipes to get the best idea how long before repairs are necessary, if you can afford it. Remember, you’re usually responsible for drain problems, even if they occur at the street sewer line. The city only ensures such repair work is correctly completed. 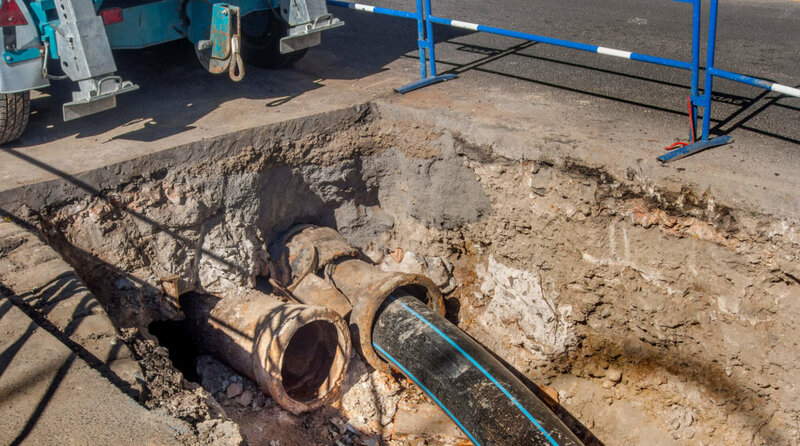 This means you may still have to involve the city when work is done on your pipes, particularly if the repairs impact a sidewalk or public road. Sewer problems are expensive. Be prepared for the unexpected and know your rights and responsibilities. If you have questions or need plumbing services call (402) 731-2727. We offer emergency and quick-response scheduling for your convenience.